Hyundai is the best car on the road. Maintenance free, reliable, serves my needs, handles well on the open road, nice looking, people always comment on its quality and think it is newer than it is. The inside leather and cloth seats have a good feel and high class look to them. My original tires lasted 57, 000 even the dealer was amazed. My body finish still looks good after 8 yrs. The dealership for this brand is terrific. I had my 60, 000 check up and was told I am good to go for another 60, 000. I have not had one issue with the car. Best car I have ever owned. The most important thing about my car is it's reliability. I have confidence in it every day to get me to where i'm going and back without problems. My Hyundai Tucson is an average car. I initially bought it because of the price and reliability. It's ran pretty good for the past 8 years I've had it, no major issues. It still drives pretty smooth. I have the basic features. There's plenty of room for 2-3 people to ride in the back seat and it has a big back area, great for lots of groceries or hauling things. Back seats fold down which is wonderful. The car that's seen it all! My vehicle is a 2007 Saturn vue. I have had it for 11 years. I have traveled to so many places with it! Its seen and gone through a lot! The sun roof no longer works nor does the trunk stay open. When it rains or goes through a car wash it leaks from the in and we have to hold up a rag. The air conditioner doesn't work unless the car has been driving a while. I think it's time for a new car! DEALERS WILL REPROGRAM THE PODS MODULE FREE OF CHARGE. 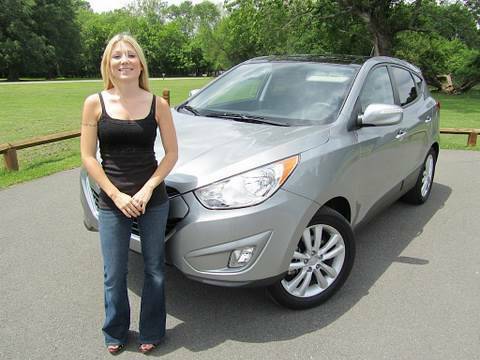 HYUNDAI ANTICIPATES OWNERS WILL BE NOTIFIED BY TELEPHONE AND/OR BY MAIL DURING FEBRUARY 2010. OWNERS MAY CONTACT HYUNDAI CUSTOMER ASSISTANCE CENTER AT 1-800-633-5151.